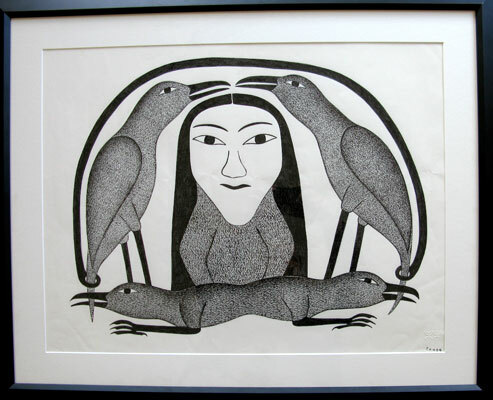 Description: Spirit of The Birds signed Kenojuak Ashevak 92/93, ink drawing on paper 20" x26". Purchased from an Alberta Art gallery. Kenojuak was awarded the prestigious Govenor General's Award for Visual Arts in March 2008, the country's highest honour.